Real Pad Printers is one of the reliable Manufacturer, Exporter & Supplier of hi-tech Four Colour Pad Printing Machine. 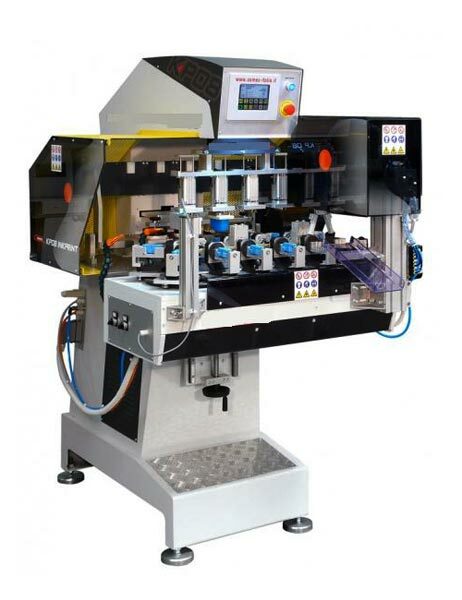 Controlled by microprocessor, easy operation, running stably and accurately. Cast aluminium machine frame, low weight and high intensity, turntable machine head. Separate adjustment of the pad up/down stroke speed. Ink scraper is auto balance keeping in printing. With the function of ink scraping nonstop without printing in order to prevent ink from drying. Ink cup is turntable and adjustable in vertical and horizontal direction. Super long slide stroke to print large size work piece. Speed of every single pneumatic organ is adjustable. Japan SMC & Germany Festo Cylinders and all pneumatic Parts for assuring machines best working stability, humanize adjustment, longest lift span.